Since childhood, art has been the driving force of my life. Born and raised in rural Kansas, I have always been fascinated with creative patterns of nature. I have an innate since of color that is felt in my work. After earning a Master of Arts degree from the University of Kansas, I moved to Kansas City where I enjoyed an art teaching career for many years. I exhibited my paintings in numerous art shows in Kansas city during my teaching years. At the same time I explored many avenues of expression for my art. My exploration took me on several European tours where I noted the widespread use, durability, and vivid color of tile art. I found my medium! In 1984, I left a secure teaching position, to pursue a career as a tile artist. As the years unfolded, I never stopped exploring and, though I had found my medium, I wanted to continue experimenting with the technical aspects of this ancient art form. The result? A signature style of ceramic glazing that blends impressionistic painting and stain glass characteristics. My built-in obsession with “just the right color” often drives me to fire tiles numerous times to pursue the exact texture and hue. Many famous artist such as Picasso and Miro – have been attracted to ceramics because of its element of surprise and unpredictable nature. It has the most unique capability to visually tell a story. Artists have used it to tell the story of communities, families, architecture, benefactors, passions, and movements. Like the artists from centuries passed, I too loved the idea of reinventing it over and over again. My goal is to continue enhancing and developing the versatility and creativity of this medium. 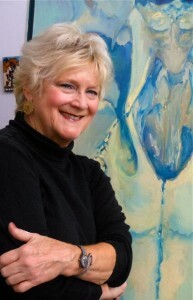 Carolyn Payne resides in her studio/home in Kansas City, Missouri where she creates her unique art. 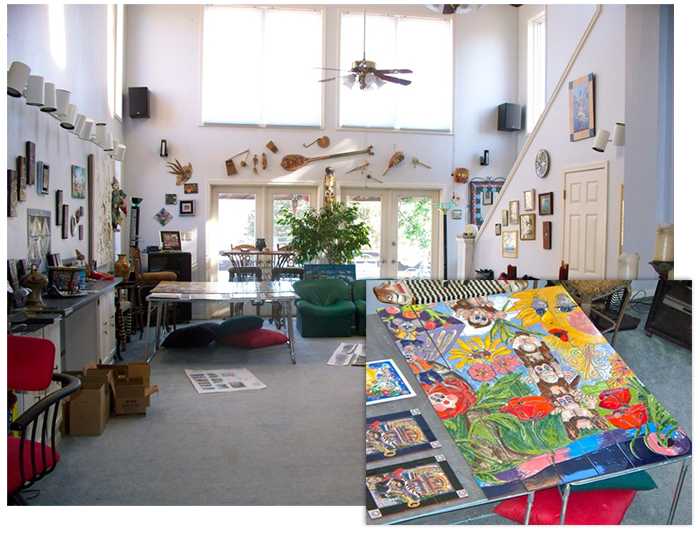 Her studio has evolved, as her tile art has, over the last three decades. A museum in itself, a highlight of many a tour group over the years!